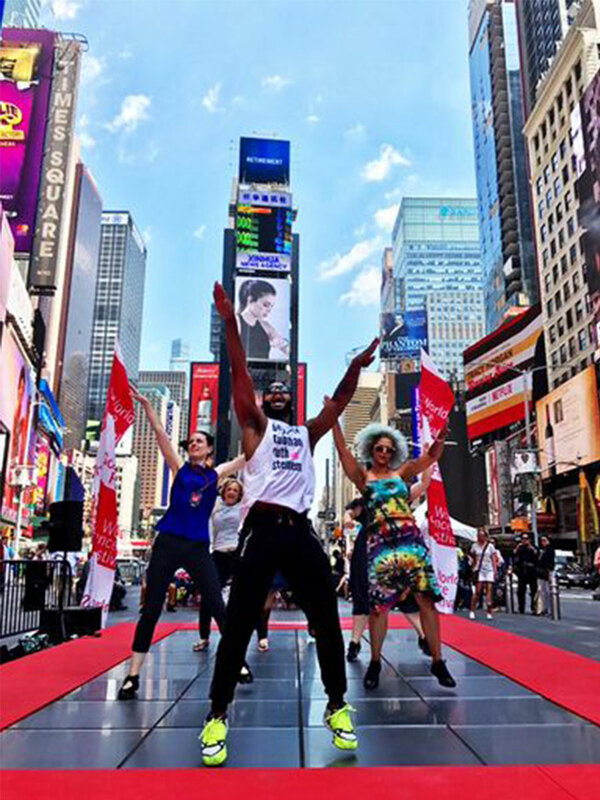 In May 2017 The Sustainable Dance Floor was part of the World Science Festival in Times Square, New York, providing the public a greater appreciation of our ever-changing planet. Our 32-tile Dance Floor educated about renewable energy by converting the energy of people’s dance moves into electricity. The Sustainable Dance Floor was open all day long, accompanied by a host who invited people to GET ON IT! Power their own selfie or play an energy battle. In 4 days around 1 mln joules were generated, 526 selfies were taken and thousands of New Yorkers, tourists and passersby were reached with the message to #ActOnClimate.